Communication technologies have long played a central role in people’s personal and professional lives. However, as social media has become globally ubiquitous in the past decade, enabling people to connect with any person, friend or stranger, around the world, communication technologies have also played an increasingly important role in the public, civic sphere. These networked publics provide a new form of third place—a place outside the home and work—transforming how people are connected and mobilized to address civic issues. Concurrently, progressive governments are redefining societal prosperity to encompass not only financial success but also the quality of life of its citizens. An important condition of well-being is membership in a thriving community that effectively collaborates both to have fun and to solve its collective problems. In this panel, we will discuss how we should help people leverage networked publics as third places to positively impact global citizen well-being. John M. Carroll is Distinguished Professor of Information Sciences and Technology at the Pennsylvania State University. His research is in methods and theory in human-computer interaction, particularly as applied to networking tools for collaborative learning and problem solving, and design of interactive information systems. Recent books include Making Use (MIT, 2000), Usability Engineering (Morgan-Kaufmann, 2002, with M.B. Rosson), Rationale-Based Software Engineering (Springer, 2008, with J. Burge, R. McCall and I. Mistrik), Learning in Communities (Springer, 2009), The Neighborhood in the Internet: Design Research Projects in Community Informatics (Routledge, 2012), Creativity and Rationale: Enhancing Human Experience by Design (Springer, 2012), and Innovative Practices in teaching Information Sciences and Technology (Springer, 2014). Carroll serves on several advisory and editorial boards for journals, handbooks, and series. He is editor of the Synthesis Lectures on Human-Centered Informatics. Carroll has received the Rigo Award and the CHI Lifetime Achievement Award from ACM, the Silver Core Award from IFIP, and the Goldsmith Award from IEEE. He is a fellow of AAAS, ACM, IEEE, the Human Factors and Ergonomics Society, and the Association for Psychological Science. In 2012, he received an honorary doctorate in engineering from Universidad Carlos III de Madrid. Ed Cutrell manages the Technology for Emerging Markets (TEM) group at Microsoft Research India. TEM is a multidisciplinary group that strives to study, design, build, and evaluate technologies and systems that are useful for people living in underserved rural and urban communities. The goal of this work is to understand how people in the world’s poor and developing communities interact with information technologies and to invent new ways for technology to meet their needs and aspirations. 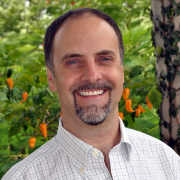 Ed has been working in the field of human-computer interaction (HCI) since 2000; he is trained in cognitive neuropsychology, with a PhD from the University of Oregon. A Fulbright scholar and Cunningham Fellow, Andrea Kavanaugh is Senior Research Scientist and Associate Director of the interdisciplinary research center for Human Computer Interaction (HCI) at Virginia Tech. Her research lies in the areas of social computing, communication behavior and effects, and development communication (in other words, the use and social impact of communication and information technology in developing countries, particularly the Middle East and North Africa). She leads sponsored research employing quantitative and qualitative research methods to evaluate the diffusion, adoption, use and social impact of information and communication technology, funded primarily by the National Science Foundation. Her work investigates the use of social media for political participation and the development of tools to support social interaction among diverse users and groups. She is the author or editor of three books. Prior to joining the HCI Center in 2002, she served as Director of Research for the premier community computer network known as the Blacksburg Electronic Village (BEV) from its inception in 1993. She holds an MA from the Annenberg School for Communication, University of Pennsylvania, and a PhD in Planning (with a focus on telecommunications) from Virginia Tech. She currently serves on the Board of the Digital Government Society. Dr. Robert M. Mason joined the faculty in autumn 2005. He served as Associate Dean for Research for the iSchool from 2006-2010. His current research interests focus on the philosophy and ethics of technology management and the cultural aspects of knowledge management. His recent research examines the impact of social media on knowledge work. He is a founding member of the Social Media Lab @ UW and is working with a team of students on information flows related to the Occupy movement. He was previously on the faculties of the College of Business at Florida State University and the Weatherhead School of Management at Case Western Reserve University. Prior to devoting full time to academia, he operated two consulting companies and worked in industry. He is a former president of the International Association of Technology Management. He has an SB and SM in electrical engineering from MIT and a PhD in industrial and systems engineering from Georgia Tech.